The public has forgotten the fact that our mining has always been at the mercy of imports. Unionizing of labor narrowed the profit margin so much our local mines shut down. 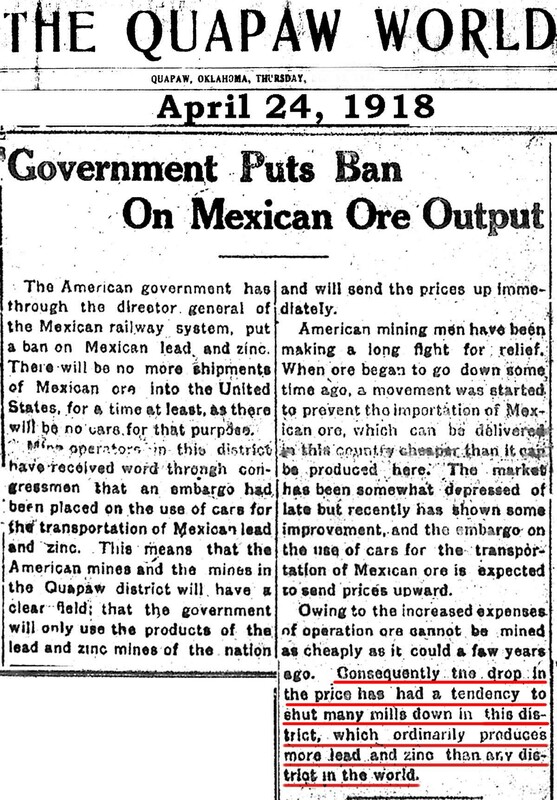 The local mines "played out" is not what caused the mining to cease in Ottawa County. Perhaps in the Picher field, but not in the whole area. Newspaper articles throughout the years mentioned the effect of imported minerals on our local economy.